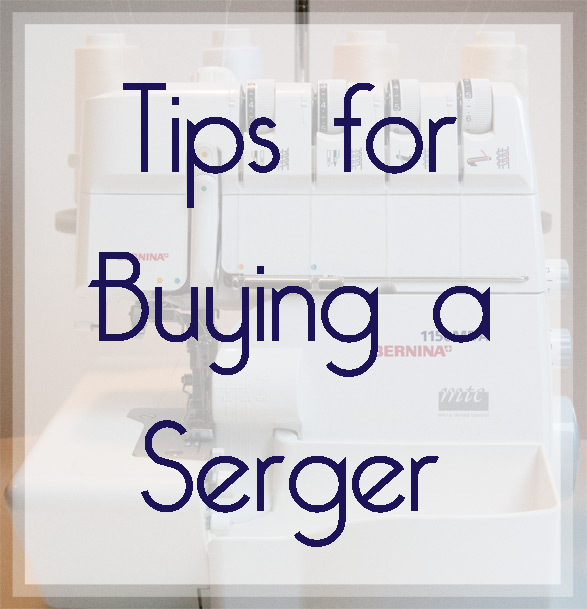 One of the most common questions I am asked in my Craftsy class, Beginner Serging, is “What kind of serger should I buy?” It’s a question that doesn’t have a short answer, so I thought I’d share my ideas on the subject here, and get your thoughts as well. I have brands and models of machines that I prefer, but I encourage everyone to form their own opinions and to educate themselves on the available features before making a decision. I am a firm believer that you should always try out a machine before you buy it. I don’t care if you get it from a store or buy it used off of Craigslist, always try it out first! You may find that you don’t like the way the machine sounds, how it feeds the fabric, or hey, you might discover it doesn’t actually even turn on when the posted ad said it worked fine! With that said, I also believe it is best to buy a machine from a dealership. I know that you may think that you’re getting a great deal on a machine from Amazon, but what happens if a part breaks? Who will help you to find accessory feet or parts as your machine gets older? A big box store won’t help you out at all if you have a question about your machine. Stumped on threading or need some troubleshooting advice? A good dealer should happily help you and answer your questions, and if you ask, they may also offer a free class to go along with your machine. Choosing a machine is a personal experience. Everyone likes different machines for different reasons. Try out as many machines as you can before you pick one to take home. Check out multiple brands, go for low-end and high-end, and you’ll see different features and be much happier with the machine you choose in the end. If you are completely stumped with where to start, look at different brand websites to get an idea of the capabilities of various machine models. You can often times download the manuals that go with your favorite models to review the stitches, features and threading paths. Don’t look at too many online reviews. It’s better to form your own opinion right from the start than to look at a certain machine with bias that you haven’t even tried out yet. Just because someone else has had a poor experience with a machine, it doesn’t mean that you will as well. Bring your own fabric samples into the store and try out as as many different stitches as you can. Will you only ever sew with quilting cotton, or are you maybe into upholstery fabrics with much thicker weaves and threads? It’s important to know if the machine will be able to easily sew the fabrics (and layers) that you intend to sew with. Some machines will jam when 6 layers of denim are run through them, and others will cut through the thickness like butter. 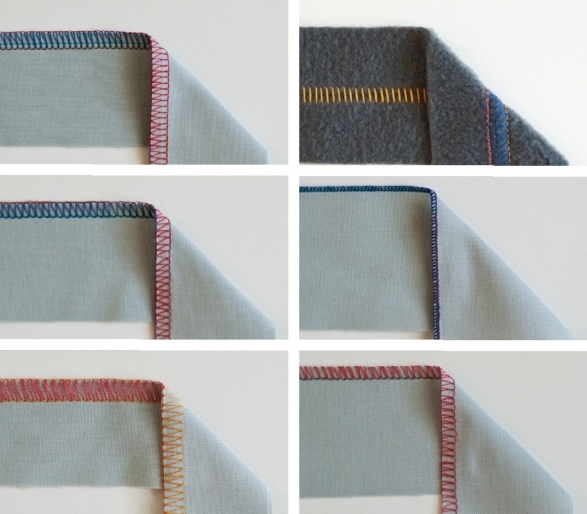 A dealer will have swatches for you to serge with, but if the samples aren’t anything like what you’d actually sew, then you don’t know how the machine will put up with your projects once it’s home. Don’t buy a machine based solely on the price. I understand, completely, that a machine that’s on sale for $100 looks amazing. In fact, if you don’t have a serger and you’ve been wanting one, it may look as tempting as a chocolate cupcake after you’ve sworn off sugar for a week. You might get what you pay for though! The biggest difference between higher-end machines and lower-end machine is on the inside. The materials used to make the mechanical parts is one of the most important aspects of a sewing machine or serger to consider. Many of the lower-end machines are made with a large percentage of plastic parts. When these parts are put under a lot of stress, or simply wear out, they snap. Most machine technicians will tell you the truth- it can be less expensive to go out and buy the same cheap machine over again than to pay to have someone fix it. A higher-end machine is made with metal parts. The machine should be heavy to lift. It will have drive and power to work thru your fabrics. I often recommend that students who are considering buying a lower-end machine, simply to have a “newer” model, don’t do that if they have an older, all-metal machine. It’s better to have the older machine serviced than to buy an inexpensive model with plastic parts that won’t last for as many years or have as much power. What stitches are available on the machine and how easy is it to thread? Most machines these days can sew 2, 3, and 4 thread stitches, and some models can sew with 5 or even more threads. There are still models being produced that are 3/4 thread machines though, which means that they only sew with 3 or 4-threads. They cannot make 2-thread stitches, and if you sew with a lot of very delicate fabrics, you may want to have those stitches as an option. Be sure to ask the salesperson to demonstrate the threading of the machine for you, so that you can carefully watch and get a sense of whether you’d be comfortable threading the machine on your own. If you sew lots of knits, and you want to have the option to create a coverstitch, then you will want to look at models that have this available. My personal choice is to have a separate coverstitch machine. I find that I am able to finish my projects much more quickly if I have my machines all threaded and ready to go, instead of switching a serger back and forth from serging to coverstitching. Look over the accessories that come with the machine and see if you think anything is missing. I’m not trying to say that parts will be missing from your new machine, but there may be things you wish you had later on. Does the model you chose include a waste catcher, or will your sewing table be a mess? Does it have a nice big lint brush for cleaning out the fuzz? Take a look at the tip of the tweezers too. Some inexpensive pairs won’t hold on to threads because the tips hardly touch. While you’re at the dealer, stock up on needles too. 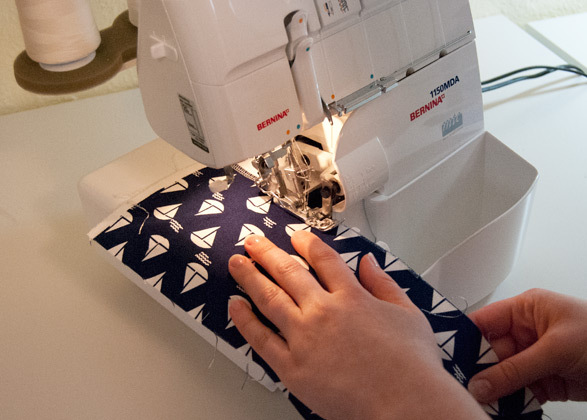 Some serger brands require needle systems that are hard to find online and in fabric stores. My personal preferences for machine features may be different from yours, but I thought I’d share what I can’t live without. My machine must have a waste catcher, needle threader, differential feed, adjustable tensions, LOTS of power, an easy-to-thread lower looper, any easy-to-read foot pressure knob, retractable stitch finger, at least 2, 3 and 4-thread stitch capabilities, and a cloth plate that opens up so I can clean as much lint out of the machine as possible. Now, that might seem like a huge list to you, but it doesn’t mean your machine has to have all of the features that I look for. When I got my first serger, I was a very poor college student. I needed to have a serger at my apartment, so that I could still work on my projects when I wasn’t in the studio on campus. I found a White Superlock on Craigslist (yay $100 find! ), and scooped it up. It turned out to be an okay machine, but I wasn’t that happy with it. It didn’t have a waste catcher, it didn’t open up easily and I could hardly see the lower looper to thread it. It also didn’t come with any accessories or a manual, so I had to figure it out on my own. I spent a lot of time being angry at that machine! I went thru a few other machines too, until I got my current model, a Bernina 1150MDA. I love my machine. I honestly don’t know that I’ll upgrade until there’s a new model that can make espresso while I sew. It’s very easy to use, quick to thread and I’ve never had any issues with it. Don’t be scared of your new machine! The absolute best thing that you could do is learn to thread it from scratch. I promise that it’s not nearly as scary as people make it out to be. 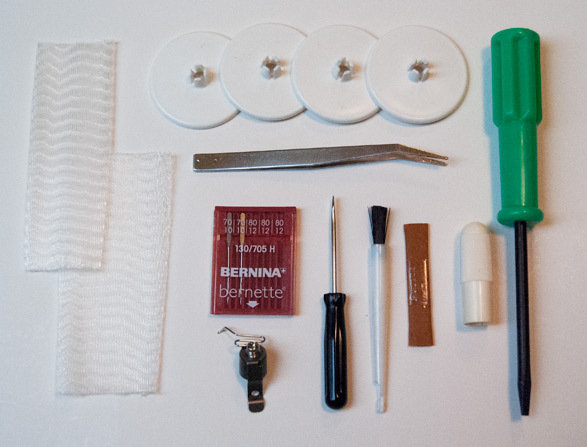 You learned to thread a sewing machine, and that was kind of scary at first, right? After you understand how the machine works, it’s easy to switch out your threads. The sooner you go for it, the quicker you’ll be a pro. I’m always happy to help you too! Here is a link for $25 off of my Craftsy class, Beginner Serging, if you’d like to come over and learn all about using your new machine. I promise that you’ll wonder why you didn’t buy a serger sooner! This entry was posted in How to Sew and tagged serging, sewing on April 17, 2014 by Amy Alan. Thank you so much for letting me know! It worked on my end, but that’s only because I’m always signed in to Craftsy for answering questions. It should be fixed and work now. Thanks again! Amy’s class is one of my all-time favourites and she is definitely my FAVOURITE instructor! (They are all great but Amy is exceptional, as I’m sure you know if you are reading her blog…but just say’in!). The class is so beefy and Amy takes all the fear out of using a serger. I signed up for the class even before I even HAD a serger to help me decide if I wanted one. Amy made it look so fun, exciting and useful that I had to get a serger. Like Amy says above, I chose an older, metal, used model over a new machine and I’m very happy with it. It’s solid and powerful. Amy is fantastic at answering your questions and helping you through issues…even if it takes MANY tries! She is so patient and smart. If you are considering her class, grab that awesome deal link and save money (even though she’s worth every penny of the full price!). I’m still learning to use my machine and working through the class projects and samples but it is really fun. and I learned to thread my machine from scratch and once you do it a few times, it a cinch! Don’t believe those people who say it’s impossible or difficult! If Bernina ever comes out with a sewing machine that makes an espresso too, let me know ASAP, okay? 🙂 Great review. I still haven’t purchased the 1150 MDA, but my eye is on it. I bought a serger last year. I tried them all, and this still didn’t really help me as I just wasn’t sure how much I would use it, or for what. My husband jumped right in and got me the Bernina 1150….for the mtc knob he said. This allows you to “fine tune” and minimizes frustration. I must say, no regrets. My 1150 has never frustrated me! I have done knits, sheers, home decor, rolled hems, gathering, blind hems (prefer my sewing machine for this)…tried it all, and without any problems or mess ups. I am just an amateur, so although I have taken Amy’s craftsy class (yes, that cow bag is mine) I doubt I will ever use it as much as her…hence this WILLl be my last serger. I like it that much and I know it is built to last. I’m so glad to hear it, Ellen! I am a big fan of my 1150MDA. I’m glad you liked to class too (I remember that cute cow bag well)! I honestly don’t know that I’ll ever want to upgrade my machines. I love them all so much, and they all work perfectly and do exactly what I want. I couldn’t be happier to finally have a sewing room full of great machines. Hi Amy, I bought a Janome 1200 D before I found your class. But I was afraid of it and couldn’t make it do any of the wonderful things the rep could make it do. Fortunately, I got your beginning class on Craftsy and made all the stitch samples. I added a lot of my own notes to my samples for my machine. Then I added other stitch samples for stitches I learned on my own. Making that stitch book is one of the best parts of your class! I still refer to it today, a year after I took your class. You helped me feel like a master of my serger and now I LOVE it! Wonderful! That makes me really happy to hear that you’ve made a nice stitch book and that you loved the class. 🙂 It’s really one of the best things you can do (the stitch book) when learning your machine. I refer to mine all the time! Hi Amy, I’m attending your class Beginner Serging on Craftsy right now and it is truly excellent. For now, I’m using my sister’s serger, a White 1934d (as she does not need it right now), but I would like to buy my own eventually. Your Bernina seems extraordinary, but I’m also looking at the Babylock Imagine. Do you know about this machine? Would you recommand it? Thank you so much! I love my Bernina, but the Babylock Imagine is also a great machine. The only downsides to it are air threading, and automatic tensions. Now, lots of people would argue against me on this, but that’s fine with me! It’s a difference of opinion. I don’t like either of these features. From my experiences with the Imagine, the air ports used for threading can get plugged up with lint. It’s not hard to clean them out with a pipe cleaner, but it’s something to watch. Also, I am not an automatic-tension lover. I like to have total control over my stitch tensions. Yes, 98% of the time the stitches will be perfect right away. But sometimes, especially with decorative threads, the machine can’t seem to find the correct tension settings. That being said, once you know this about the Imagine and you are willing to do a bit of troubleshooting with some problem threads, it can save you some time. Since you can thread more quickly (although you get quite speedy on a “regular” serger with practice) and your tensions should automatically be perfect, I can see why it appeals to lots of people. I enjoy learning to adjust every part of my machine though, even if it can mean a little bit of extra time in the beginning, it’s worth it to me to fully control my stitches by not having these features. Try them both out and see how you feel though. You may love these features! So your Elna serger, did it do both serging and coverstitching? I’m not quite sure if it would if it’s 14 years old, but if you’re used to having one machine that does both features, then you might be fine with having that same type of machine where you switch back and forth between functions. Like I said in my post though, I personally prefer to have two separate machines. I have worked with several different coverstitch machines. My favorite ones are industrial models, but I don’t think you have room for that in your sewing area! 😉 I know that lots of sewists are happy with the Janome 1000CPX. It has the widest bed space, but I don’t know how often that would be necessary, unless you do a lot of decorative chain stitching/coverstitching. I owned the Brother 2340CV Cover Stitch for quite a while. It was ok because it got the job done, but the stitch quality wasn’t great, and it had a very hard time sewing over thicker areas, even just on multiple layers of lightweight jersey. It has an annoying needle release feature, which I’ve heard is easy to break if you don’t know exactly how to pull the thread thru. I used it until I saved up for my my current machine, the Bernina L220. I need to write up a review on this machine, and I’ve been meaning to! I absolutely love it. It has the power I want and beautiful tension. I don’t have issues with skipped stitches like I did on the Brother. It consistently gives me a lovely stitch. I know that there are many other coverstitch machines out there, but I’m not sure what price point you’re looking for. I’d try them out (if you can) the same way that you would a serger. 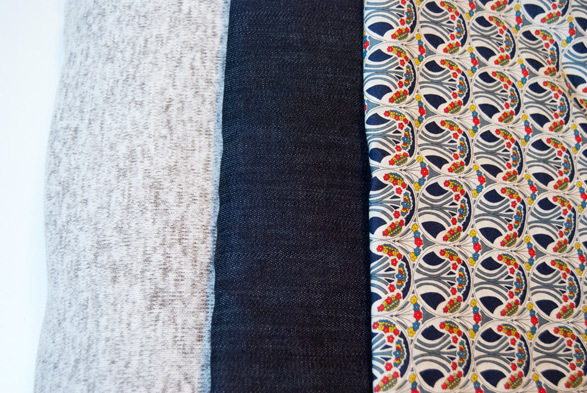 Take in your own fabric samples and play around until you find one you like. Let me know what you end up getting! I’m not a big fan of Brother’s, I’ve seen the Janome for sale in Sweden for an ok price & I know Bernina’s are lovely, I have a very simple Bernina embroidery machine, so I’ll have to see what’s available here. I doubt that any dealer here would have more than one coverstitch, I could barely find any information on them in Swedish. Yes, I think the separate coverstitch is a good idea. You’ll be happy you did that once you have some more time to sew and can use both the serger and coverstitch at the same time. I hope you’re able to get an amazing machine! Hi Amy, Do you have any experience with the Bernina 009DCC? My sewing machine guy said it was basically the same as your L220, but with 2 needles instead of 3. And I can get the 009 for about $300 less than the L220, so now I can’t decide! Hmmm. that’s a pretty tempting deal! Think about the function though. I held out and got the L220 because I like to sometimes have a very narrow cover stitch, and with the 009DCC, I didn’t have that option. I do use and switch between the two different coverstitch widths quite often, so I knew that I’d be mad at myself if I didn’t have the 3 needle option. I will rarely sew with all 3 needles, but I like to have varying widths in my cover stitching. I believe in waiting for exactly what you want. Even if getting the L220 means you have to wait for the cash, if you’ll be happier being able to move the needles, then I’d wait for that. I knew I would be, so I held out until I could get it. I know I’ll have this machine for an extremely long time, so I wanted to make sure I’d have what I wanted and will use the most. I will write about it very soon, doogle. It is next on my list of things to do! Hi, rh. What do you need help with on your pattern? Construction? Altering the pattern? Finding a pattern? totally agree. Slightly off the subject but still on it, I am thinking about a new sewing machine. I see the new models on tv and things that I like about them. I have several models here that have features that I like. So now it is a matter of collecting those features and seeing if I can find a machine that combines them all. I think that is the way to by a serger. By the way, I have a BabyLoc and I love it! Lucky you to have a Babylock! They make very lovely machines. Yes, I think you should shop for a sewing machine much the same way. Go to dealership with a list of features that you want, and try out as many machines as you can. Consider going to several dealerships too, because sometimes they will carry different brands. I hope you have fun searching! 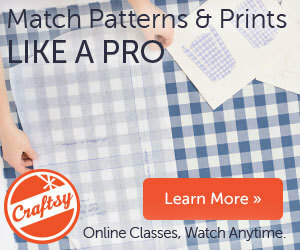 Hi Amy, I’m join your craftsy class, and really have fun to watch over, over, and over. anyway. I live abroad, but really wish I can have serger like your own. I wish for my birthday present. anyway, do you have any recommended place to buy it. it’s hard to find online. and do I can’t buy it directly in store, because I don’t have in USA. could you please tell me the place and also the range of price. if overbudget. I will forget to have it. so sad. anyway congrat for you new born soon. sew a cute diapers or serger it’s really precious thing for little baby. Hello, Sara! I really wish I could be of help to you and tell you a good place for you to buy a serger. However, I have no idea what websites or stores would ship to Jakarta. Have you considered trying to call a store in the United Kingdom or another country where a serger would be more easily available? I do not have any idea what shipping costs would be. Good brands of machines to consider are Bernina, Janome, Babylock and Viking. Prices may be different overseas and I don’t know the exact prices that anyone would charge. You would have to talk to a machine dealer or look online at different machine models to find out what your cost would be. 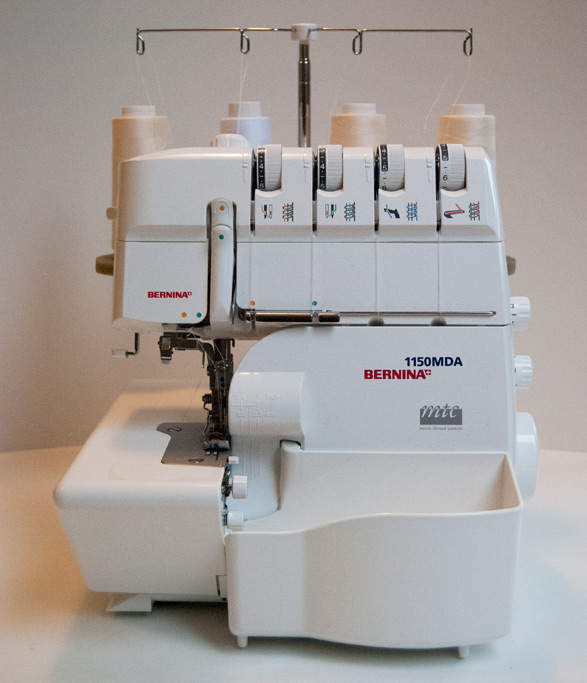 If you are looking for my exact model of machine (Bernina 1150 MDA), you should be able to order one from any Bernina dealer. They are all over the world. Best of luck buying a machine! I don’t review the cover stitch/cover hem in my class, but I do demonstrate using the gathering foot in a Bonus Lesson. As much as I would have liked to have included cover stitching, it would have made for a class that was much too long! I was just looking around your blog and saw you are expecting! Congratulations! You look great! I hope you are feeling well. I am buying my first serger and I decided on the same machine! Figured it could do most of what I’d want and if I find I love it and use it often, I can spring for a nicer model. All because I want to sew knits and my sewing machine can only see straight stitches (It’s an old Singer 99k). Sarah – since the time I wrote my above reply, I’ve bought a second serger, a Babylock Ecllipse DX. I still LOVE my Brother 1034D, and I’m a little sad that I spent over $1,000 on a second serger instead of buying another 1034D. The Babylock is nice, but is seriously no better than the Brother. I hope you like your Brother 1034D as much as I do. Good to know! I’d really like a machine that does coverstitches as well but couldn’t justify the cost on a first “learning” machine. I’m not sure there’s a quiet serger out there. My Babylock is as noisy as my Brother. I think it’s the nature of sergers. In thinking about my two sergers, I’d have to say my Brother has less vibration, as it doesn’t move around much when I serge really fast, and my Babylock has a tendency to crawl a bit when I really put the pedal down. I’ve found that with Babylock sergers too! It can help a lot to put some of that textured kitchen drawer rubber down underneath the machine. It gives it something to grip to if your table is a very smooth surface. Thanks, Amy – I’ll try that! Most sergers are quite noisy, and the older they get, the louder they get. Often times though, if a serger is very loud, it is because it needs to be serviced and oiled. When was the last time you cleaned or had your machine cleaned and oiled? I would say my machine is not louder or quieter than any other machine, although Brothers and Singers tend to make quite a lot more noise than other brands. Thank you for the coupon for the class. I have been serging for a while but I am not very good at it. I hope to learn a lot from the class! Well done, you have helped me make up my mind on deciding which serger to buy. Today I visited a machine shop after weeks and weeks of sifting through all the numerous overlockers here in England. I actually went with view to try a Brother and an Elna out but the salesman was most enthusiastic about the Bernina machines claiming that they were able to cope with well with both thick and thin fabrics. I am a silk artist but also sew upholstery materials so I need a good dual purpose machine. This evening I am looking for reviews and I found this forum. On my lap I have the Bernina leaflet of the latest sergers/overlockers and I have decided on the 1150MDA. I am so glad that you recommend it through your experience of using other machines. I am going back to that shop to buy it! Congratulations on the birth of you baby! A serger that can make espresso? Sign me up! Thanks for sharing your thoughts. May I ask, where did you find that gorgeous printed fabric in the photo above! You have good taste- that’s Liberty of London! I don’t remember what the exact print is called, but I’m sure you can find it with a search online. I purchased it from Modern Domestic. It figures! I love their prints. Pricey, though. Thanks! How does the Bernina 1150 serger compare to the new Bernina 460 serger? I have both and I don’t know if I might want to sell my 1150. Do you mean the Bernina L 450? I haven’t gotten to play with the 450 yet, so I can’t tell you how they compare. You say you have both machines though. Which one feels better to you when you use it? Do you enjoy the 450 or the 1150 more? You have both? Came to sell one of them to me? I have a Bernina straight sewing machine and am looking for a companion serger. I am currently in England so can come and possibly get it if it isn’t too far! I love sewing and have looked at sergers. Trouble is I don’t know what I need. I’m not sure what a coverstitch is used for in construction. I sew mostly with fleece, wovens & knits. Grankids clothes & doll clothes, napkins. I want to get your class but need a serger before I can do that. Can I just get a serger or is the coverstitch important? I really only have room for one more machine. Thanks! 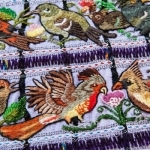 A coverstitch is usually used for hemming knits, but it can be used decoratively or to sew on something like patch pockets onto a knit sweater as well. If you look at the hem of a purchased t-shirt, you are likely looking at a coverstitch (two needle threads on top, and a looper thread going back and forth on the bottom). It has a nice stretch to it and also helps to maintain a clean look and finish on the inside of your garment. You could chose to buy my class and then pick out a machine after you learn all about a serger and what it does and how it works. This way you will be more informed when you step into a sewing machine dealership and are ready to test out some machines. If you only have room for one more machine, then a combination serger/coverstitch machine may be the right option for you. I found a vintage serger on Craig’s list. I am a 62 years old I can buy any machine i want to the money is really not too much a problem but I hate to waste money on something i might not use much. I only sew to relax and for a hobby mainly doll clothes and shopping bags, maybe baby blankets. My eyes are not so good any more. The seller will show me how to use the machine and has kept it in good condition. It has a manual and accessories. She says it is a Babylock but I didn’t see that name on the machine in the picture. It is only a 3 thread machine. Would you recommend getting something new or getting that?. I have an Elna SU that I have had for 38 years and it is amazing all metal parts. So i thought the vintage machine might be better quality. Also she told me she has it serviced here by a local dealer. A 3-thread machine cannot make many stitches, and may only have 2 or 3 that you can do. If it is a 3-thread Babylock, then it is a very old machine, and I personally would go for something newer, so that it’s easier to find parts for it in the future. Babylock still makes wonderful quality machines, and I also enjoy Janome and Bernina sergers. 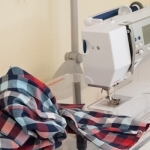 If I were you, I would go to a sewing dealership and look over everything that a serger can offer, to learn more about the machines and how you might use them. Take information about this machine as well, if you are still considering it. Then you will be able to make an informed decision about whether this vintage one is a good fit for you. I wonder why the Brother 3034D is absent from the comments? It’s a slightly more expensive, but heavier (metal parts?) and probably (?) better quality than the simpler 1034D. Still a low-cost machine. We put it in production of fleece autumn-dresses immediately without any previous serger knowledge, and it’s worked flawlessly for years. But I think the best advice is to try many different machines, and then pick your personal favourite. Newer post: What Motivates You To Keep Making?